For an online map of Southwest New Mexico visit Southern New Mexico Online. For online maps of Silver City visit Silver City Maps. Take the US-70/NM-90/Main Street exit toward Silver City. This exit takes you through the town of Lordsburg. Turn left onto US-70. Take the US-70 West/NM-90 East ramp. Merge onto US-70 and then turn onto NM-90. Upon arrival in Silver City keep going straight until you come to the intersection of Hudson and 12th Streets. Turn left onto 12th Street. 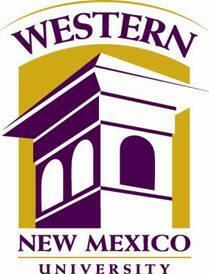 Continue on 12th Street until you reach the WNMU Global Resource Center at the corner of Kentucky and 12th Streets. From I-10 W take US-180 W (exit 82A) going northwest. Continue on US-180W/Silver Heights Boulevard. Upon arrival in Silver City continue to follow Silver Heights Boulevard/N. Pope Street until you reach 12th Street. Turn right onto 12th Street. Continue on 12th Street until you reach the WNMU Global Resource Center at the corner of Kentucky and 12th Streets. Take I-25 S past the exit to Truth or Consequences (Hot Springs). Then turn right at the NM-152 exit. Turn right onto US-180 W. Continue on US 180 W/Silver Heights Boulevard. Take US-180 E all the way to Silver City. Upon arrival in Silver City turn right onto Alabama Street. Then turn right onto 12th Street. Keep going straight until you reach the WNMU Global Resource Center at the corner of Kentucky and 12th Streets.